Technology advances everyday and BMO Online Inventory System Malaysia is built to provide convenience to everyone especially small and medium business owners. Being convenient means we also enable all BMO Online Inventory System users to access it anywhere and any time they require, be it POS terminal, mobile, PC or laptop. Thus, in this tutorial, we will show you on how you could access to our BMO online Inventory System Malaysia anywhere, in this case your Android mobile phone. 1. 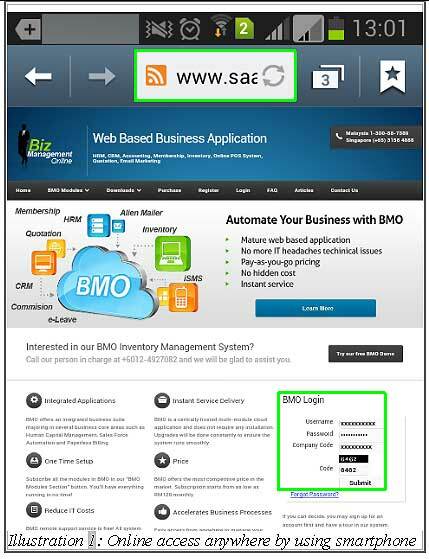 We all know that BMO Online Inventory System Malaysia could be accessed with the help of a computer and internet connection. However, due to the advancement of the technology nowadays and 3G / 4G networks, we could also access the system through our smartphones. However, before you could access the BMO system, you must have an internet connection. 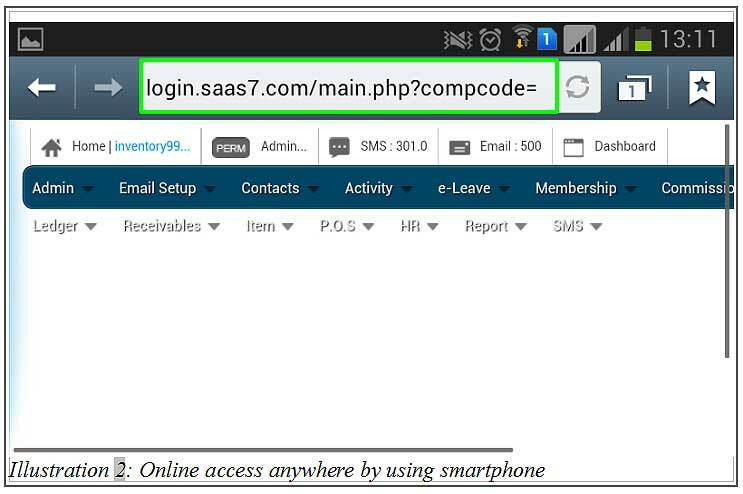 Switch on your wireless connection in your smartphone and connect to the internet before you type in www.saas7.com link to access to your system using your smartphone. 2. Next, after you have done all the steps mentioned above, enter your Username and Password to log in to your system at the highlighted area as shown. 3. Now, you are able to use your system through your small device that could be used anywhere, anytime.